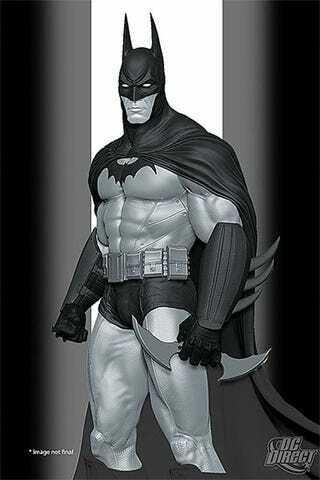 DC Direct has unveiled a statue based on Batman: Arkham Asylum, featuring the game's fox-eared take on Gotham's Dark Knight. It'll go on sale in September (only a year after the game came out! ), stands 7.25" and will form part of DC's exquisite "Black & White" range of statues, which also features pieces based on Batman designs from the likes of Mike Mignola and Paul Pope. Sculpted using the actual in-game models, it'll retail for $80.